Crescent City Surgical Centre Operating Company, L.L.C. CCSC was founded in 2011 by Tom Lavin, MD, Chad Millet, MD and Najeeb Thomas, MD. The Company operates a full-service surgical hospital located in Metairie, Louisiana, a suburb of New Orleans. 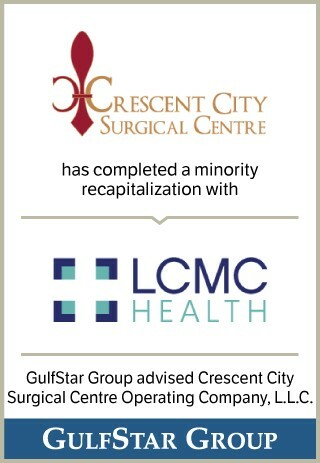 CCSC is owned by a group of distinguished, nationally-recognized physicians and offers a number of surgical specialties: bariatrics, neurosurgery, orthopaedics including total knee and hip replacements, women’s health, urology, otolaryngology, plastic surgery, general surgery, and pain management.